Hello! My name is Beth. I’ve been married for 17 years, and am the mom of an eight year old. 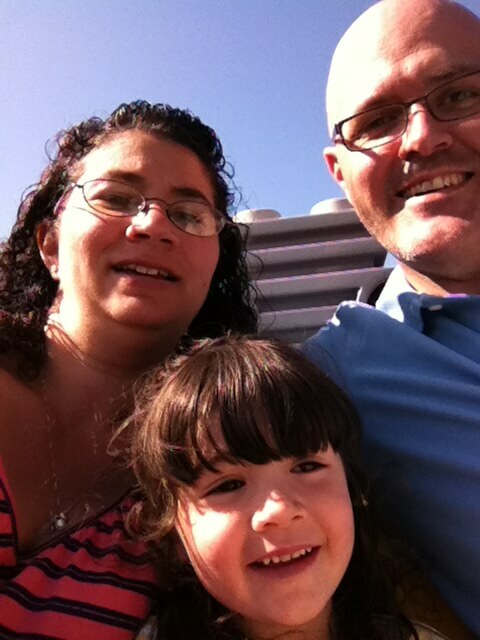 Three years ago we moved to Miami (although in my mind I still say it as “We just moved”) from Arizona. 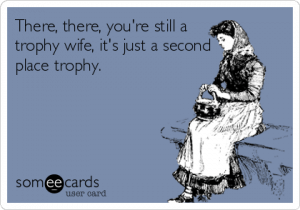 In Arizona I liked to joke around that I was a trophy wife. Now that we are in Miami I am still an Arizona Level Trophy Wife, which I have learned is very different from a Miami Trophy wife. In order to become a Miami Trophy Wife I would need to: work out (I would like to say “work out more”, but who am I kidding? My body shows there is no working out at all); eat (a lot) less; and start buying name brand clothes instead of shopping at Target and Kohl’s. Getting a real hairstyle and putting on makeup more than once a week would probably be necessary too. My car would need to be drastically upgraded as well. A Porsche or Rolls would be ideal, but I could probably settle for a BMW or Lexus, as long as it was the top of line one and I traded it in every two years. Okay, every year. I am exhausted just typing this list. So an Arizona Level Trophy Wife I shall stay. The beauty of being an Arizona Level Trophy Wife is that I do not need to treat my husband the way I imagine Miami Level Trophy Wives need to treat theirs. I.E, really well. 🙂 So I continue being a mediocre cleaner and do not iron his clothes. Although a true Miami Trophy Wife probably doesn’t do these things, either. The maid does. But I’m sure the wife oversees it and ensures it gets done. So a lot of times I prepare a recipe with “One Missing Ingredient”. I substitute and play around with what I have on hand to find a way to make it work (said in my head in my best Tim Gunn voice). And amazingly, a lot of times it does work.